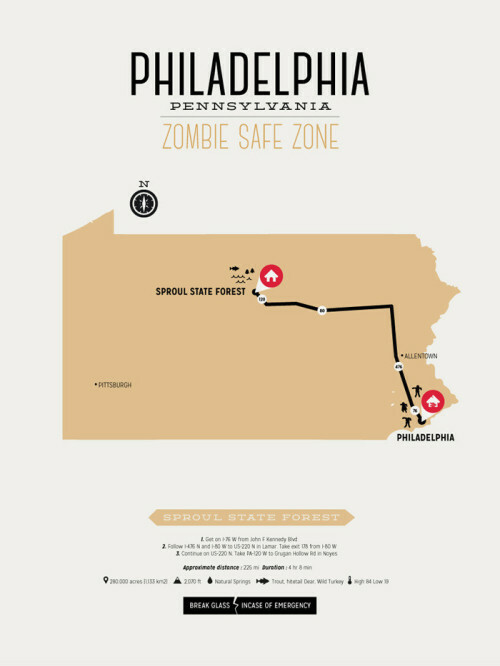 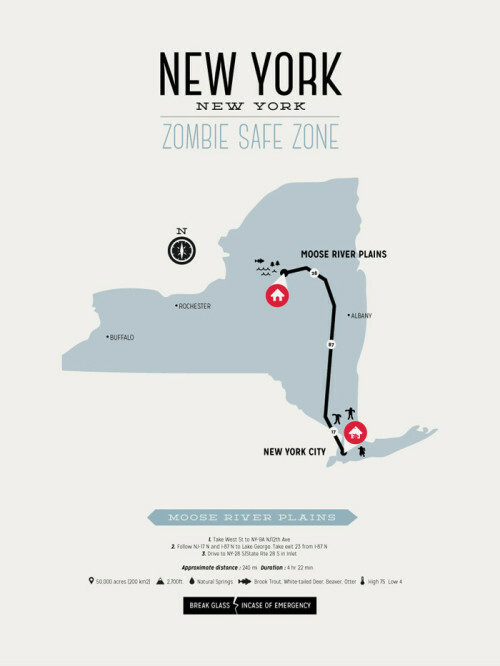 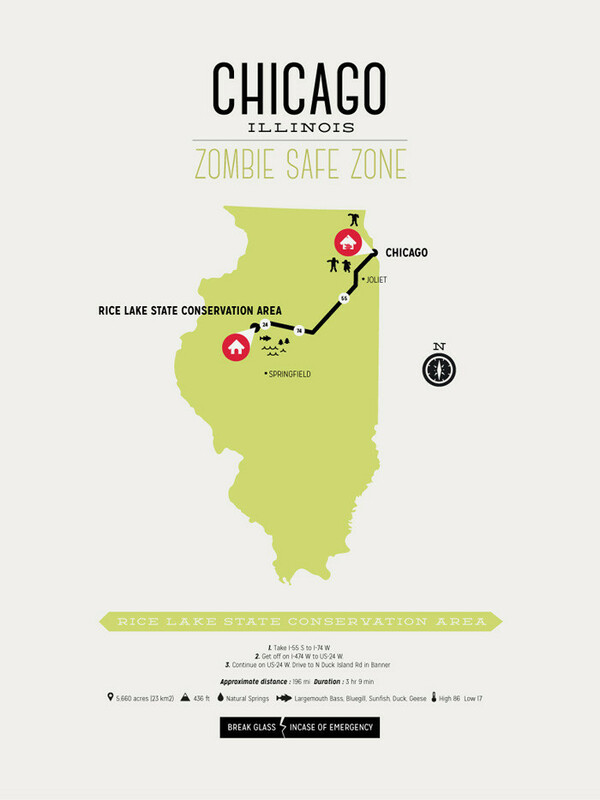 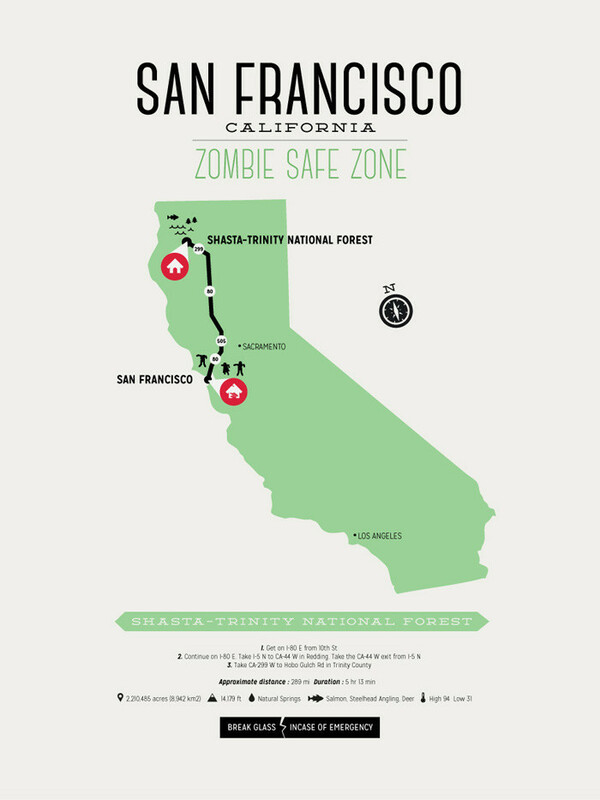 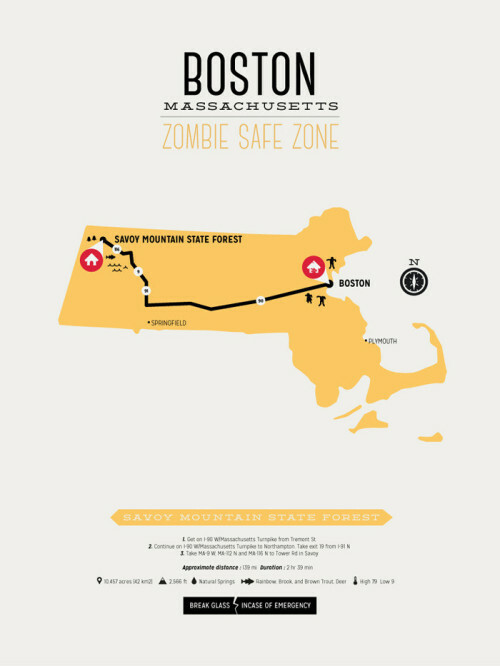 Three simple rules for surviving a zombie apocalypse: never let yourself get cornered, always keep a weapon in reach, and follow approved routes to a safe zone. Toronto's Different Design has created maps of cities in which the un-dead have famously ran amok in film and TV that show the safest passage through each hot zone. 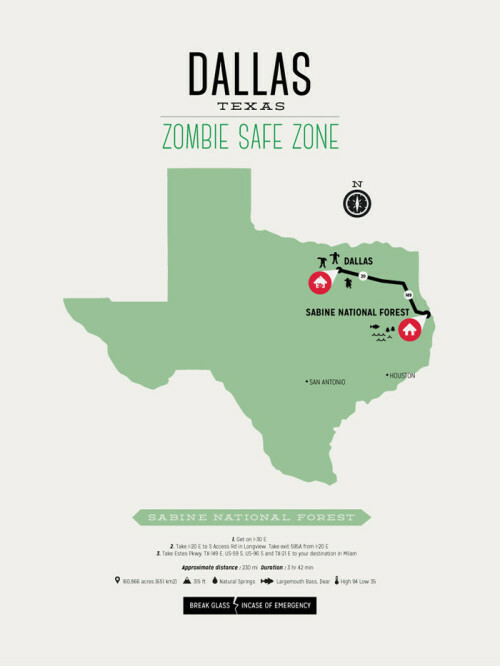 Distance, time, water cleanness, and what to hunt are all conveniently labeled on each map. If you live in one of these states, it really only makes sense to own one of these.